We all love a dog with clean teeth and sweet breath, and it only takes a few minutes a day to brush a dog's teeth. Keeping your dog's teeth clean can prevent not only dental and gum problems such as tartar and plaque build-up, but it can also prevent systemic problems, such as diseases of the heart, liver, and kidneys. 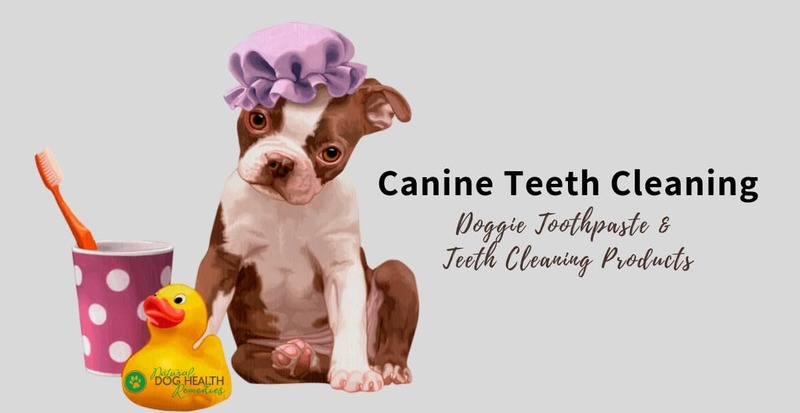 This page introduces various ways of canine teeth cleaning, and some great natural products that can keep your dog's teeth clean and his breath fresh. Many people think that it is too much trouble to brush their dog's teeth. Actually it does not take long - 1 to 2 minutes a day is all it takes. If you start getting your dog accustomed to tooth brushing when he is young, he probably will not put up too much resistance. Keep the "stress" of brushing to a minimum. Make it positive and enjoyable by giving your dog lots of praises and treats. Brush along the gumline (the place where the teeth and the gums meet). Brush the outside of the teeth, pay particular attention to the upper outer molars. Start slowly - You may need to spend a few seconds and then a couple of minutes each day at the beginning to get your dog accustomed to being brushed. To make toothbrushing fun and rewarding for your dog, first introduce him to his toothpaste. For example, on the first day, you can put a bit of the toothpaste on his favorite treat. On the next few days, put some on your finger and gradually on your dog's lips for him to lick it off. Finally, put some on the toothbrush and let him lick the toothpaste off the brush. After one week or after your dog has gotten accustomed to the taste of the toothpaste, you can start the actual brushing. First, have your dog sit. Relax your dog by gently stroking his cheeks. Then gently lift and pull back the upper lip so your dog looks as if he is "smiling". Start brushing gently one or two teeth at a time for as little as 5 seconds. If your dog resists, stop and call it a day. Repeat the next day. If your dog continues to sit still, you can do the lower teeth. Gently lift and pull back the lower lip to create a "smile". Start brushing gently one or two teeth at a time for another 5 seconds. That's it for the first day! Don't attempt to brush all your dog's teeth the first day! Repeat the same process every day in the next couple of days, gradually working up to brushing one minute on the upper teeth and another one minute on the lower teeth. Don't forget to praise your dog! Many dog parents wonder if they can use human toothpaste to brush their dog's teeth. The answer is No! Human toothpaste cannot be swallowed but dogs do not know how to spit out the toothpaste! Human toothpaste contains fluoride which is not good for dogs. While we may like the foam in our toothpaste, dogs do not. When choosing a dog toothpaste, look for ingredients such as glucose oxidase and lactoperoxidase. These are enzymes that dissolve substances and material that adhere to the surface of the teeth. Some veterinarians, however, suggest not using dog toothpaste altogether because many brands of dog toothpaste are usually sweetened with sugar, so it can actually increase plaque with continued use. Also, the glycerin contained the toothpaste will stick to the teeth for a long time and cause food particles and bacteria to create plaque. 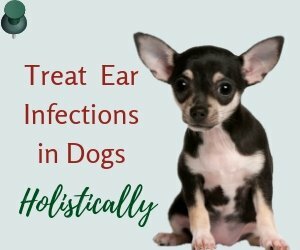 An alternative is to brush our dog's teeth with a combination of food grade hydrogen peroxide, aloe vera juice (1:1) with a little bit of baking soda. If your dog is one of those who put up resistance whenever you try to brush his teeth, don't despair! There are other natural canine teeth cleaning products that can keep his teeth clean without brushing. Dental treats which aids cleaning dog teeth are also available. Lebra III Dental Spray can remove plaque by stimulating enzymes found in saliva, thus changing the chemistry in the mouth which in turn softens the tartar. After using this product for a few weeks, the tartar will fall off and the plaque will wear away. Petzlife Oral Care Gel is a gel that can be applied to your dog's teeth. It also works by mixing with the saliva, thus completely coating the teeth and the mouth. It kills bacteria and loosens plaque and tartar on tooth surfaces. Ark Naturals Breath-Less Brushless Toothpaste is a chew treat with all natural ingredients formulated to clean dog's teeth. Find out some common causes of dog bad breath.